Hey everyone! 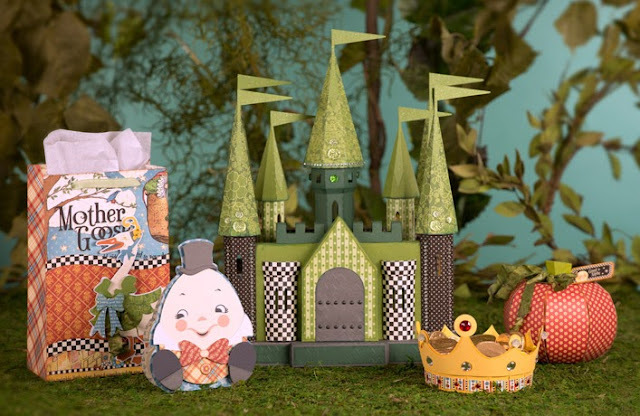 Did you see SVGCuts new kit Bedtime Stories, well the castle is totally amazing and I can't wait to make it, but I think the humpty dumpty card is so adorable. 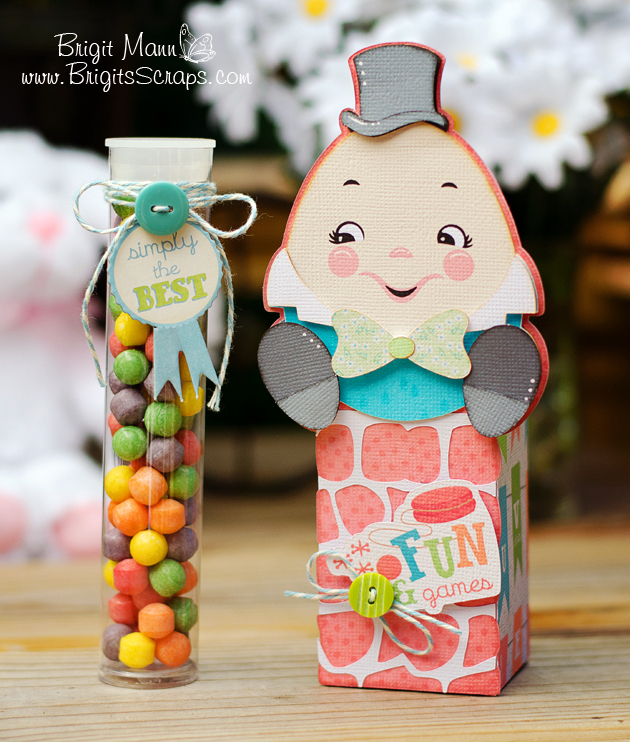 I just had to use him to make this candy tube holder. I used the column from Moonlight Garden Party collection to make the front wall joining two together. For the tube holder I used the s'mores box from Camp S"mores kit, I just resized the two pieces to 4.225"w and put a 1.180" circle cutout on the top flap. I weld the background piece of the humpty dumpty to the background of the column so it's all one piece also. The paper and elements are from Carta Bella's Alphabet Junction collection and the Trendey Twine is Sky. This is seriously TOO cute!! OMG!! I am in LOVE with this set!! Love, love, love it Brigit! The amazing details that you never forget. WOW. Another great project my friend. Too cute. A must have set. OMGosh Brigit, this Humpty Dumpty is so cute!! Heck that whole set is adorable!! What a castle!! Can't wait to see that when you make it!